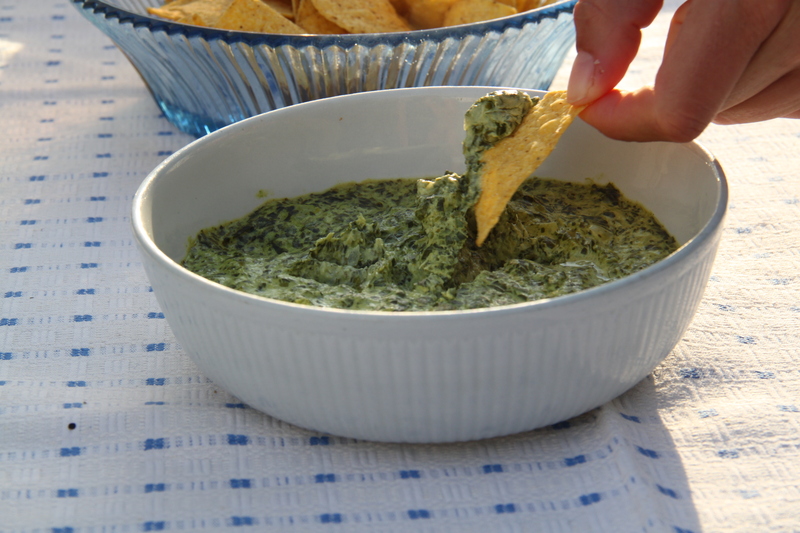 This creamy and amazingly delicious (I dare you to step away from the dip before it’s finished!) is so incredibly easy to make you have your pre-dinner party snack sorted in minutes. But obviously it’s just as nice in front of a film or a football game on the television. I first encountered this lovely dip at Laura and Tim’s house warming when my friend Amy and I did our best to finish the dip between the two of us. It’s just SO good! Adapted from The Food Network’s recipe. Melt the butter in a frying pan on medium heat. Add the onions and soften without browning, for approx 5-8 minutes. Add the cream cheese and stir to melt and combine. Add the spinach and reduce any water. Season to taste with grated nutmeg, salt and white pepper. Serve warm with salted tortilla chips. Pingback: The daily grind and a barbecue!